Synthetic peptide corresponding to Human MD2. MD-2 antibody was raised against a peptide corresponding to 13 amino acids near the center of human MD-2. The immunogen is located within the last 50 amino acids of MD-2. WB: Mouse spleen lysate. 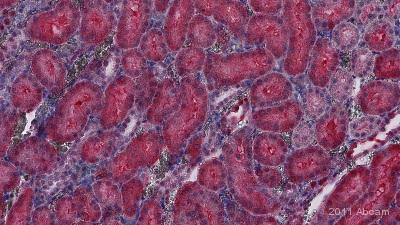 ICC/IF: Rat and human spleen cells. 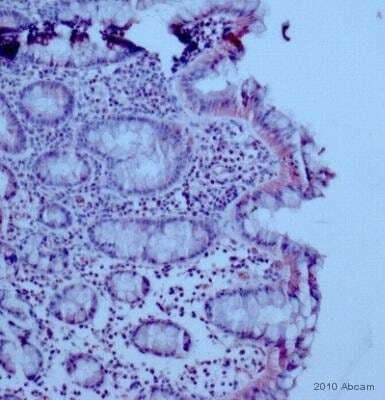 IHC-P: Rat and human spleen tissue. Shipped at 4°C. Store at +4°C short term (1-2 weeks). Upon delivery aliquot. Store at +4°C. Avoid freeze / thaw cycle. Our Abpromise guarantee covers the use of ab24182 in the following tested applications. WB Use a concentration of 0.5 - 2 µg/ml. Detects a band of approximately 25 kDa (predicted molecular weight: 18 kDa).Can be blocked with Human MD2 peptide (ab39815). Cooperates with TLR4 in the innate immune response to bacterial lipopolysaccharide (LPS), and with TLR2 in the response to cell wall components from Gram-positive and Gram-negative bacteria. Enhances TLR4-dependent activation of NF-kappa-B. Cells expressing both MD2 and TLR4, but not TLR4 alone, respond to LPS. Lysates/proteins at 40 µg per lane. Observed band size: 25 kDa why is the actual band size different from the predicted? Blocking Step: 5% Milk for 1 hour at room temperature. 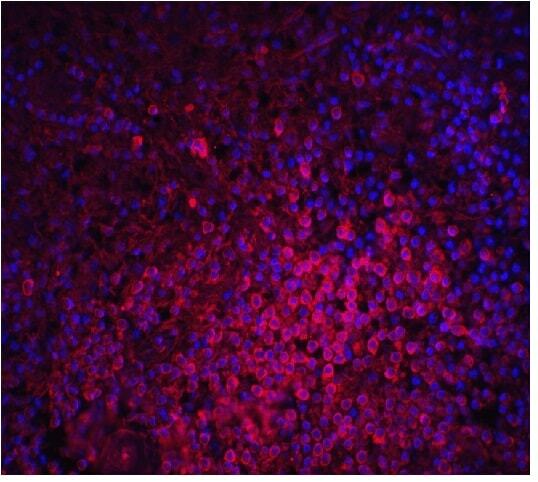 ab 24182 at a 1/100 dilution staining Rat mixed primary glial cell culture by FACS analysis. 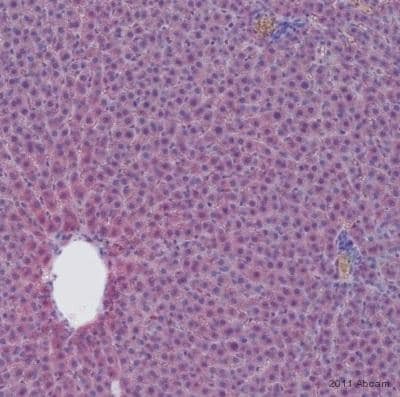 The antibody was incubated with the cells for 45 minutes and then detected using an Alexa-Fluor ® 488 Goat anti-rabbit antibody. For the negative control, primary antibody was omitted. This image is courtesy of an Abreview by Nancy Nutile-McMenemy submitted on 16 March 2006.
ab24182 at a 1/200 dilution staining rat spinal cord tissue sections from a 4% PFA transcardially perfused animal by Immunohistochemistry (Frozen sections). The tissue was paraformaldehyde fixed and incubated with the antibody for 18 hours. Bound antibody was detected using an HRP conjugated goat anti-mouse polyclonal antibody. This image is courtesy of an Abreview submitted by Nancy Nutile-McMenemy. Flow Cytometry - Anti-MD2 antibody (ab24182)Image from Roy S et al., J Biol Chem. 2011 Jul 8;286(27):23753-62. Epub 2011 May 13. Fig 3.; doi: 10.1074/jbc.M111.219345; July 8, 2011 The Journal of Biological Chemistry, 286, 23753-23762. 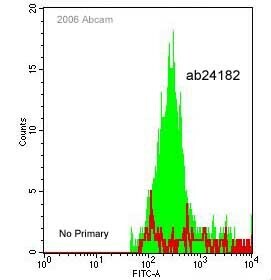 Flow cytometry analysis of Human corneal epithelial cell lines, HCEC and HCET, staining MD2 with ab24182. Cells were either unstimulated (unstim - black line) or stimulated (+IFN-γ - grey histogram), fixed in paraformaldehyde and incubated with primary antibody for 45 minutes at 4°C. 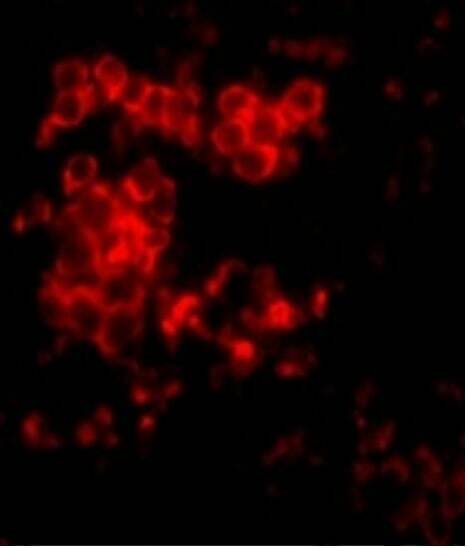 A fluorescent-conjugated secondary antibody was used to detect staining. 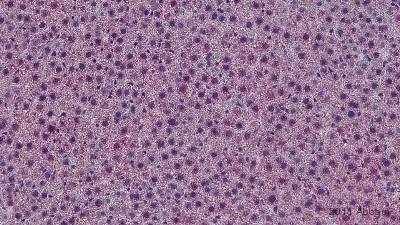 Immunofluorescent analysis of MD2 in Rat Spleen cells with ab24182 at 10 μg/mL in ICC/IF. 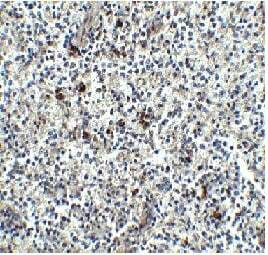 Immunofluorescent analysis of MD2 in human spleen cells with ab24182 at 20 μg/mL in ICC/IF. 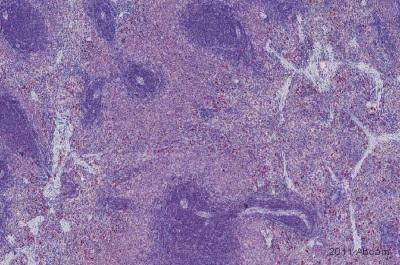 Immunohistochemical analysis of human spleen tissue stained for MD2 using ab24182 at 2.5μg/mL. Publishing research using ab24182? Please let us know so that we can cite the reference in this datasheet. I would recommend ab24182. Of the anti- MD2 antibodies on our catalog, this is the most characterized, with thirteen Abreviews and numerous images. 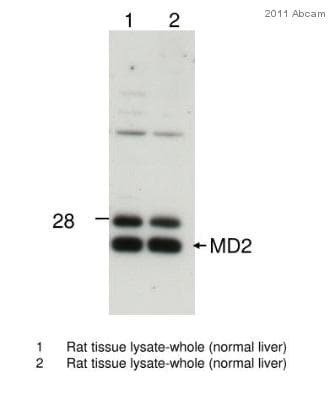 This is the only anti-MD2 product we currently offer which has been used in western blot in publications, with 4 that we are aware of. 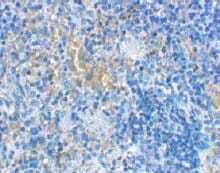 It works and is guaranteed inFlow Cyt,IHC-P,IHC-Fr,WB,ICC/IF andIHC-P onMouse, Rat and Human. 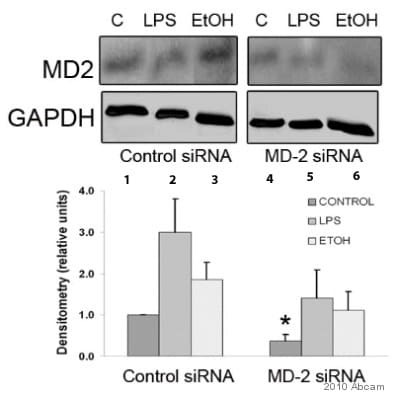 No other anti-MD2 antibody in our catalog is currently as thoroughly characterized as this. if you agree I can have this replacement sent to you free of charge. Please do not hesitate to contact us if you need any more advice or information.